The objective of the project was to create a summer issue cover for the New Yorker. 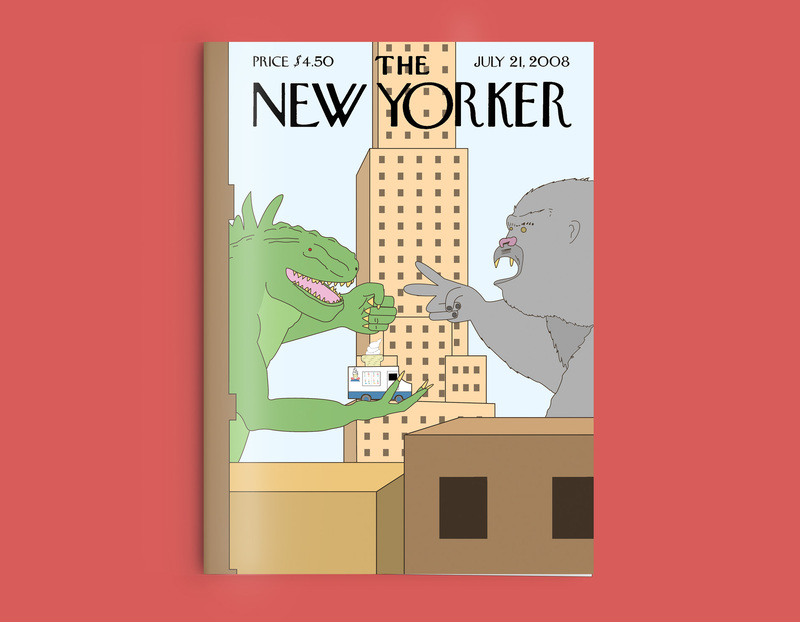 In this summer cover, you have two giant monsters, King Kong and Godzilla fighting in front of the Empire State Building. 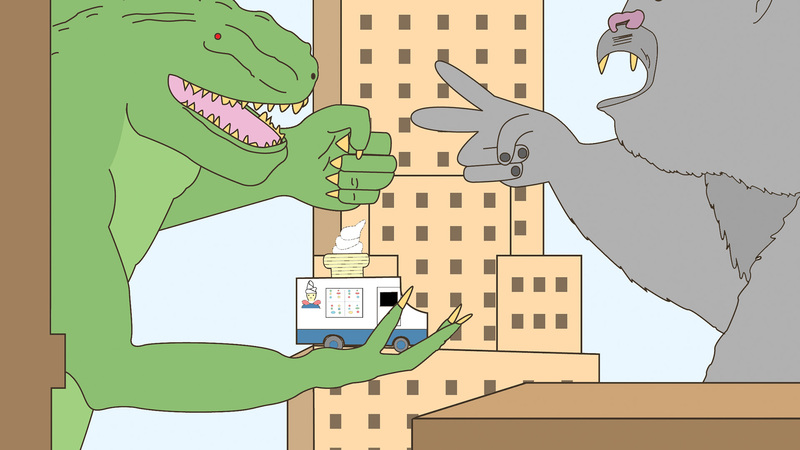 The manner of their battle is the age old rock paper scissors game. 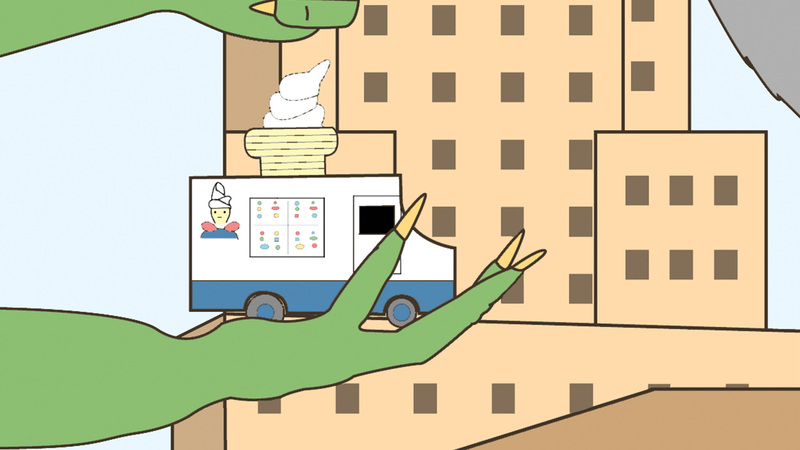 And the spoils of their battle, is a truck full of ice cream…..Everybody loves ice cream.